Measles is serious, call ahead and get advice before attending the surgery, a walk-in centre or A&E. Measles is not just a kid's problem - see the information leaflet here. The number of young people catching measles has risen. Its never too late to be vaccinated. You need 2 doses of MMR one month apart to be fully protected against measles, mumps and rubella. We are very pleased to announce that we have had a new telephone system installed. We appreciate that there have been difficulties in accessing the practice by telephone and we hope that our new system will be much easier to use - both for patients and our reception staff. When you telephone the practice you will hear a message advising you if the lines are busy and informing you of your queue position. We have 7 incoming lines - 3 of which can be answered at the same time and a further 4 which are then in a queue. 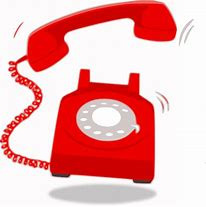 Anyone telephoning beyond the 7th call will either hear an engaged tone or be advised that the lines are busy and the call will disconnect. Our peak call times are between 8.30am and 10.30am and we would ask that for non-urgent queries patients call us after 10.30am. Please let us know if you experience any problems in contacting us. We are raising all concerns with the new telephone provider company and will continue to monitor and adjust the system as required. You might also be interested in registering for our online facility which allows the booking of appointments and requesting of repeat prescriptions via this website. Please call into reception when convenient with some ID and our reception team will be happy to help. What is one of the best things you can do for your mental health? Exercise! says neuroscientist Wendy Suzuki. Get inspired to go to the gym as Suzuki discusses the science of how working out boosts your mood and memory -- and protects your brain against neurodegenerative diseases like Alzheimer's. Have a look at this TED talk to find out more! The children's flu vaccine is offered as a yearly nasal spray to young children to help protect them against flu.Flu can be a very unpleasant illness for children, with potentially serious complications, including bronchitis and pneumonia. The Hollies Medical Centre will be offering the nasal spray to all our patients aged 2 and 3 years of age. Children who are 4 years old are also eligible for flu vaccination provided they were 3 on August 31 2018 and these children will be offered the vaccination by the practice. Parents and carers will be contacted by letter or you can book an appointment for your child by telephoning or calling into the practice. Don't let your child be a "superspreader"! STILL NOT HAD YOUR FLU JAB? Flu vaccination is available every year on the NHS to help protect adults and children at risk of flu and its complications. Flu vaccinations are still available at the surgery or at local pharmacies. Please contact us for more information. Sepsis is rare in children, but if your child is unwell with a bug or infection watch them closely. 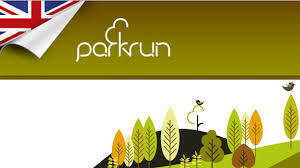 We are delighted to announce that we are a Parkrun Practice! Our local Parkrun takes place every Saturday at Endcliffe Park. Why not go along and get fit for free?! Have a look at the NHS at 70 website and read about some of the fantastic achievements of the last 70 years. There are things that we can all do to support the NHS for the next 70 years. Why not take the NHS Pledge and show your commitment to using the NHS wisely? You will be aware of the new GDPR regulations which came into force on 25th May 2018. Our local Information Governance/IT team has confirmed that as a GP practice our basis for holding your data has a legal basis which is Public Task and the Provision of Healthcare Services. If you require any further information please ask at reception or take a look at the GDPR page on this website. Prescription charges have increased by 20p per item with effect from 1st April 2019, but the cost of prescription prepayment certficates (PPC) has remained the same.